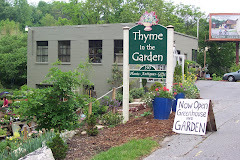 Thyme in the Garden: Holiday Open House 5 Years Celebration! 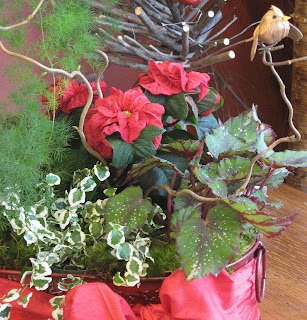 We are celebrating our 5th anniversary today and tomorrow with our annual Holiday Open House. To make it extra special this year, come by during the open house and enter our drawing with your purchase for a $50 gift certificate! We will also be serving hot spiced cider and yummy Old Salem Bakery cookies which we now carry as well. We have samples of the fresh wreaths and garlands to take orders for and a very sweet display of a miniature neighborhood, not to mention, our shop is packed with gorgeous new gifts, decorations and plants all ready for the holidays! Keep us in mind for your holiday arrangements. We're always happy to help you create the perfect gift or centerpiece. Feel free to bring in a container you already have or pick out one of the many choices available here. 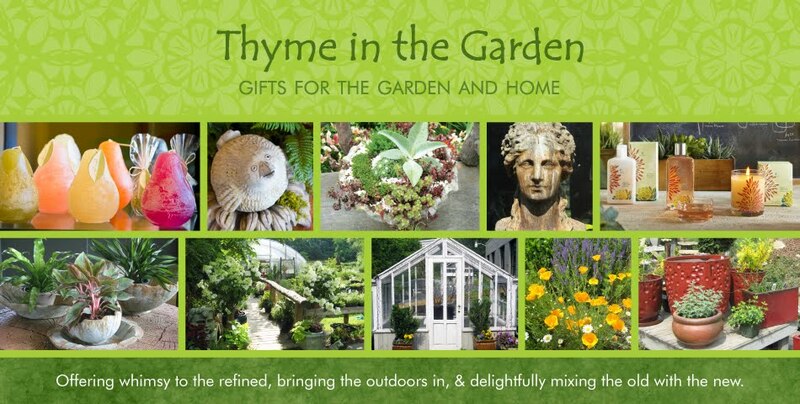 The Thymes Frasier Fir fragrance continues to be a be welcomed gift into any home.